How you lead depends on Who, What, When and Where you lead. 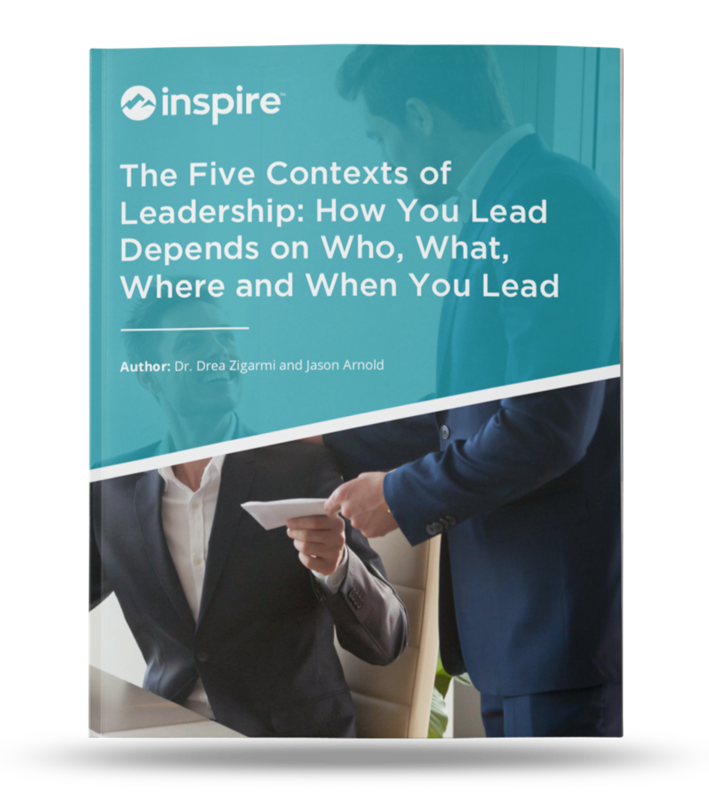 Download the whitepaper to master all five contexts of leadership. Leadership isn't just for those with a corner office. Everyone in an organization leads in some capacity whether it be leading themselves or leading a team meeting. Leadership comes in five contexts, this whitepaper goes in depth to describe each to help you become a leadership genius.